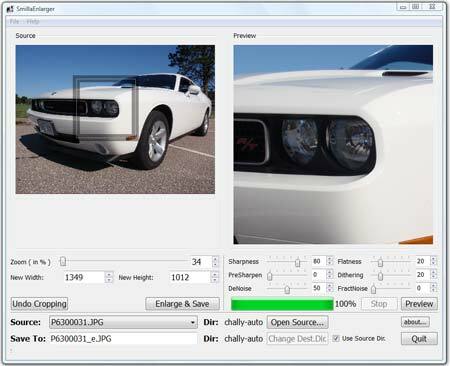 SmillaEnlarger is a Free Images Resizer that can be used to resize and enlarge or magnify images, pictures or photo’s while attempting to retain the high quality of the original image file. The tool tries to prevent jagged edges and artifacts from appearing in the resulting enlarged images. If jagged edges are present, the tool can be used to remove them and smooth out the image.